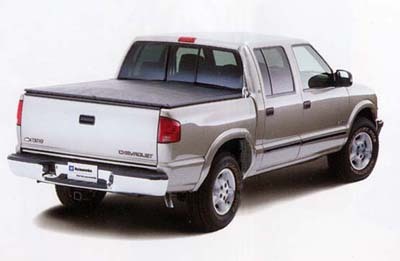 The soft tonneau cover will shield your GM pickup bed and its cargo from inclement weather. An aluminum frame securely attaches to the truck bed with an exclusive clamp system that allows the tailgate to be opened while the cover is on. The innovative bow design arches to resist sagging under snow or rain accumulations.